Making a Magic Scene is one of the three available ways to create a scene. 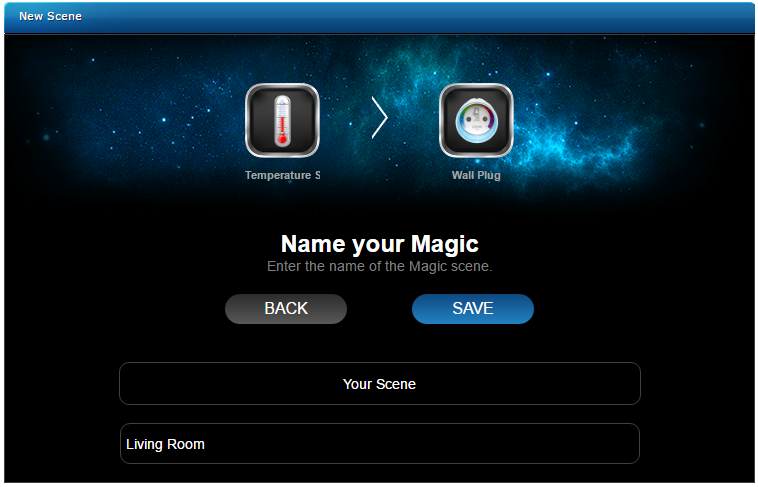 Magic Scenes use the idea of taking one trigger, like status change of a device, time event or weather conditions and then taking action with another device. The two large boxes at the top show “if” and “then”. The first box is called the trigger. If the event described in that trigger occurs, then your chosen action in the second box will occur. How to create a Magic Scene? Go to Scenes section and press Add scene button in the left sidebar. Click Add in Add Magic scene section. 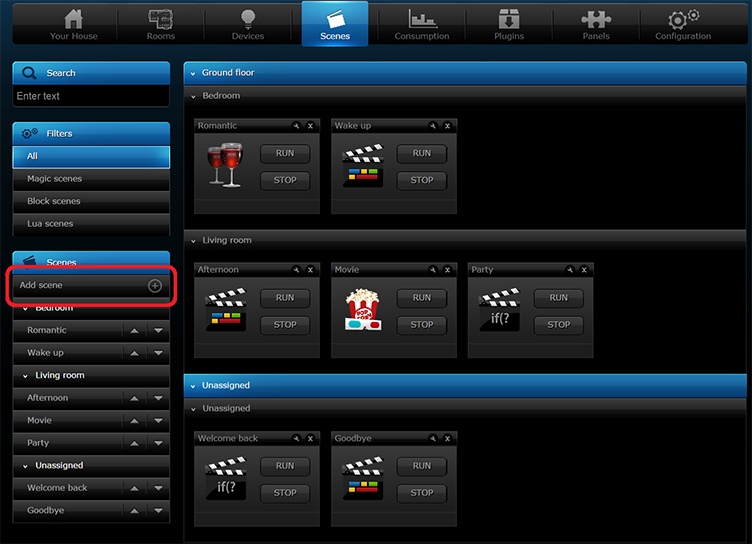 Click or drag and drop to the if box icon of the device/event listed that will start the scene. 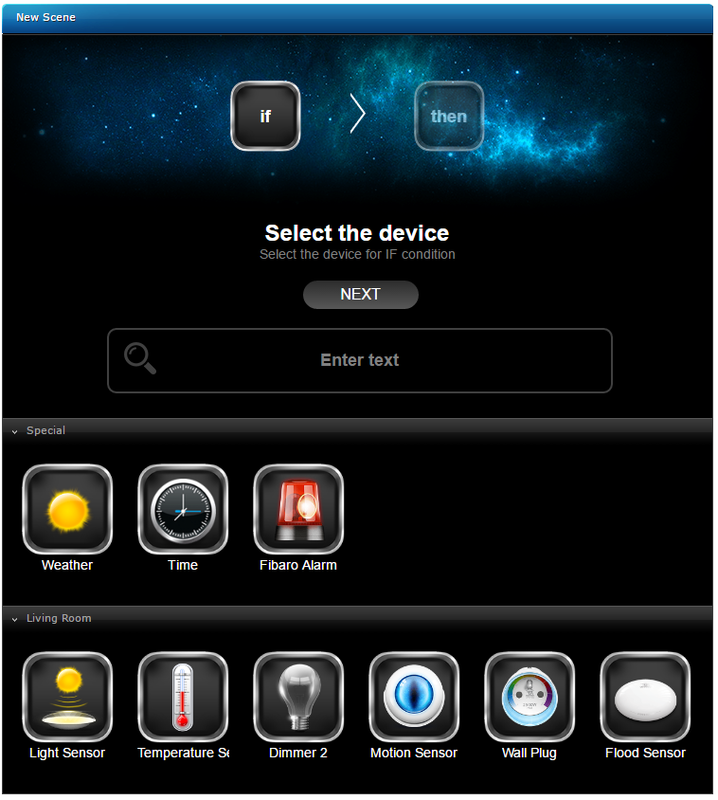 You can use search box to filter devices by name. Press Next after selection. List of conditions will be displayed. 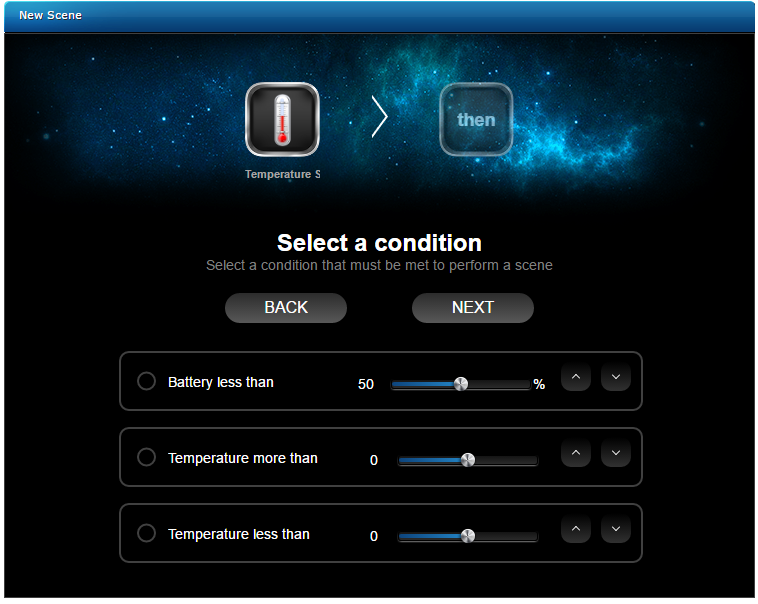 Every device/event has a number of triggering conditions available. Select one of them by clicking and adjust value if possible. Press Next after selection. 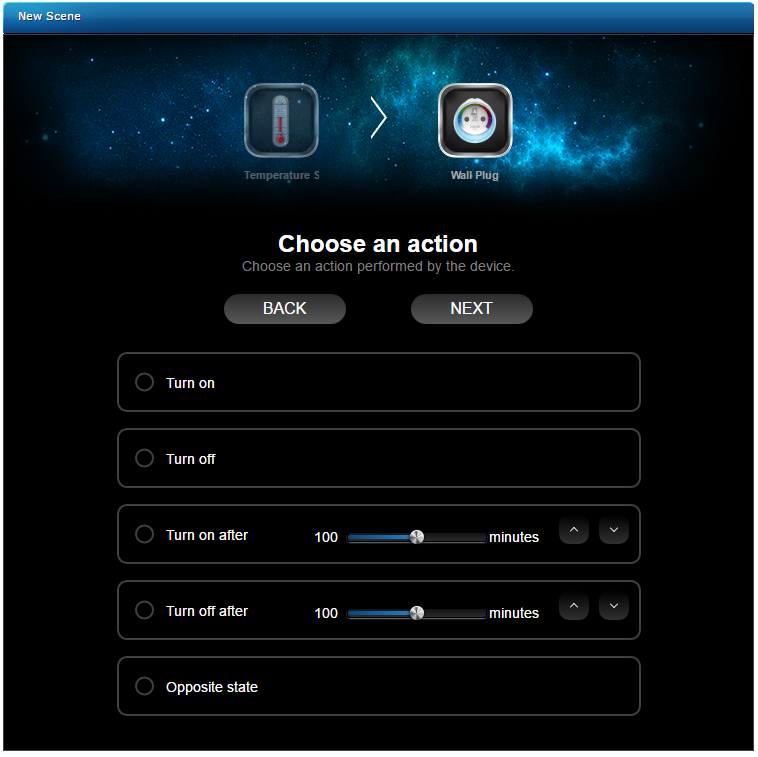 Possible events or devices that will take and action after trigger occurs will be displayed. Click or drag and drop one of the icons to the then box. Press Next after selection. List of actions will be displayed. 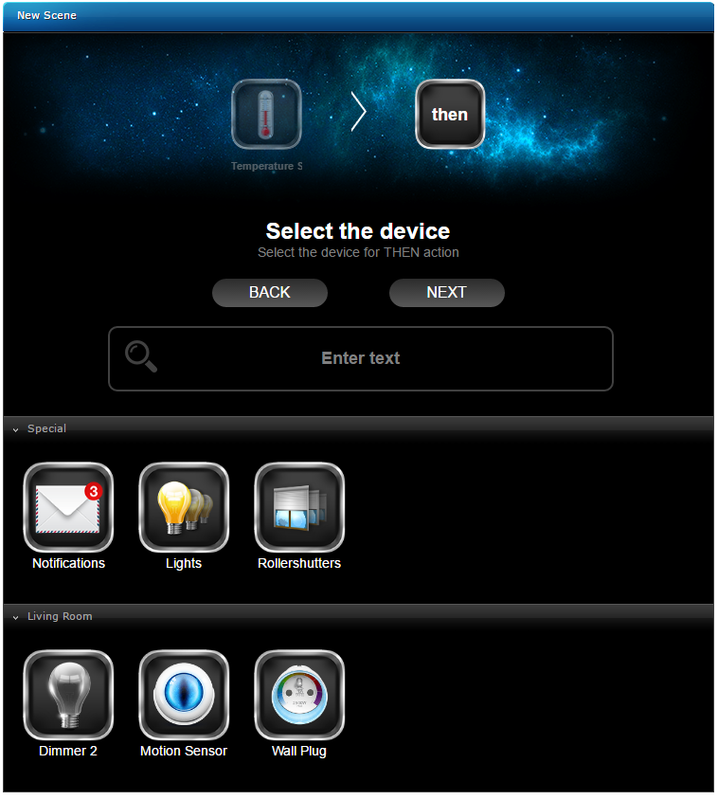 Every device/event has a number of actions available. Select one of them by clicking and adjust value if possible. Press Next after selection. Type a name of the scene and assign it to a room if you want. Press Save if done. 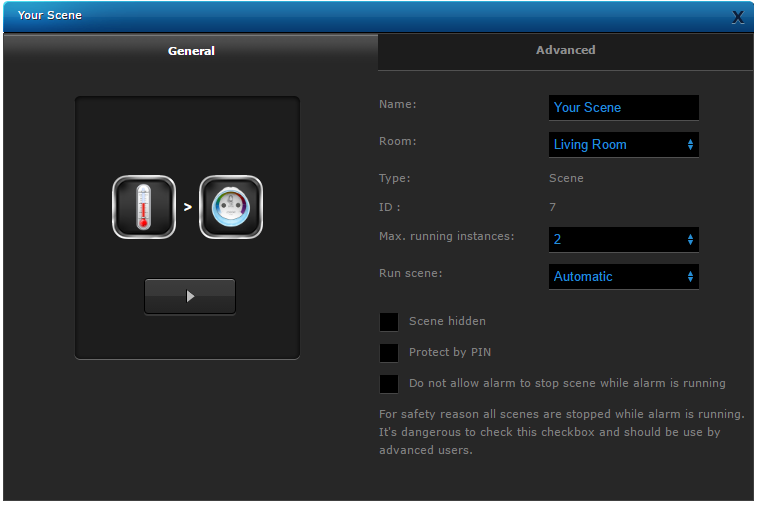 Scene will be saved and scene configuration window will be shown allowing for additional changes. To trigger from more than one device, or to do more than one action per scene, check out our article on making Block Scenes.